Whether for plant propagation, greenhouse or nursery production of flowers, vegetables, berries and green leaves, one of the substrates from our extensive product line will suit your particular needs. 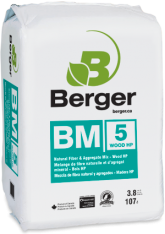 At Berger, we pride ourselves on our ability to manufacture high-quality growing media by creating a uniform and strong root environment – season to season, year after year. This classic peat-perlite series of all-purpose mixes offers an assortment of drainage options that are adapted for a wide variety of growing environments, making it one of our most popular products. 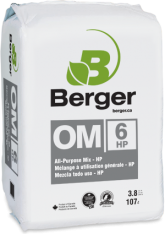 Composed entirely of materials authorized for use in organic agriculture, the OM product series is ideal for growers who want to break into this dynamic and rapidly expanding market. 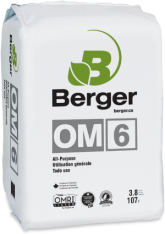 Whether for edibles or ornamentals, there is an OM product tailored for every growth stage of your organic crops. Authorized for organic production, this classic peat-perlite series of all-purpose mixes offers an assortment of drainage options. 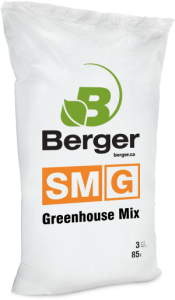 The SM greenhouse product line is specifically designed for greenhouse production of potted vegetables, ornamentals, annuals, perennials and many more. It offers a wide variety of substrates with diverse air-water ratio adapted to each greenhouse environment. Made with components approved for organic agriculture by OMRI, the SMO product line is ideal for growers who want to break into this dynamic and rapidly-growing sector of the industry. Whether for fruits, vegetables, herbs, or even ornamental plants, an organic certified mix is available for every growth stage. 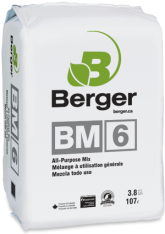 The BM5 product line utilizes both natural fibers and aggregates to create a wide variety of soil structures.